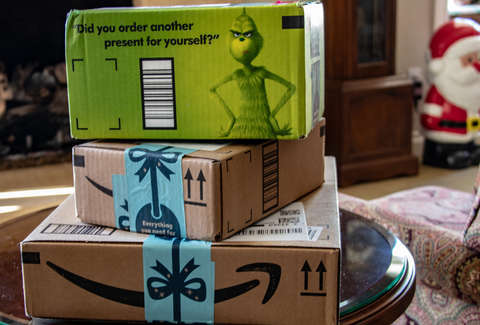 If the recent bonanza of Black Friday and Cyber Monday sales didn't quite scratch your consumerist itch, there are still plenty of chances to bag some serious bargains for you and everyone on your list courtesy of Amazon. The retail juggernaut just kicked off its annual 12 Days of Deals promotion, featuring a fresh batch of themed discounts on furniture, gadgets, and everything in between every single day from now through December 13. It's essentially a week-and-a-half long super-sale, and it's already underway. The event, which kicked off December 2 and runs through December 13, features a new set of deals on a certain category of items every day, with each day's sales expiring at the end of 24 hours. The company doesn't release what exactly will be up for grabs within each category ahead of time, but it did tease which categories will be highlighted on each day, so you can at least plan when to keep your eyes peeled. Lucky for you, we'll be making it even easier to know when it's time to click "Buy" by doing the hard work of watching out for the best deals, and updating them in real time. So, bookmark this page, and come back every day to see what's up for grabs.